Mother’s Day is right around the corner, are you ready?! I wanted to do something a little different for my mom this year. Rather than taking her out to brunch or dinner, I decided to make her a healthy dinner at home! Made with love, I chose an easy-to-prep (because let’s be real– I’m a busy mom of 3!) entree salad that I paired with JaM Cellars Butter Chardonnay. Since my mother lives in an in-law apartment attached to my home, she helps me A LOT with the three boys, and I love when I have the chance to do something special for her to show my appreciation. I literally don’t know what I would do without all of the assistance she gives me with day-to-day care and it makes me so happy that she is so close to all of my boys. Since I really enjoy cooking for others, crafting a beautiful salad to enjoy at home seemed like the perfect gift to give her. Yes, I cooked the meal– but not without some shortcuts, and this salad is SO EASY to put together in a pinch! It’s healthy, full of color and will look like it took A LOT longer to make (total win in my book!). 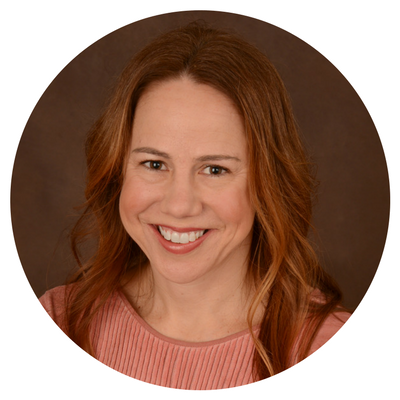 My husband whisked the boys away and we were able to enjoy an early Mother’s Day celebration that consisted of a delicious dinner and a glass of buttery, Chardonnay together! 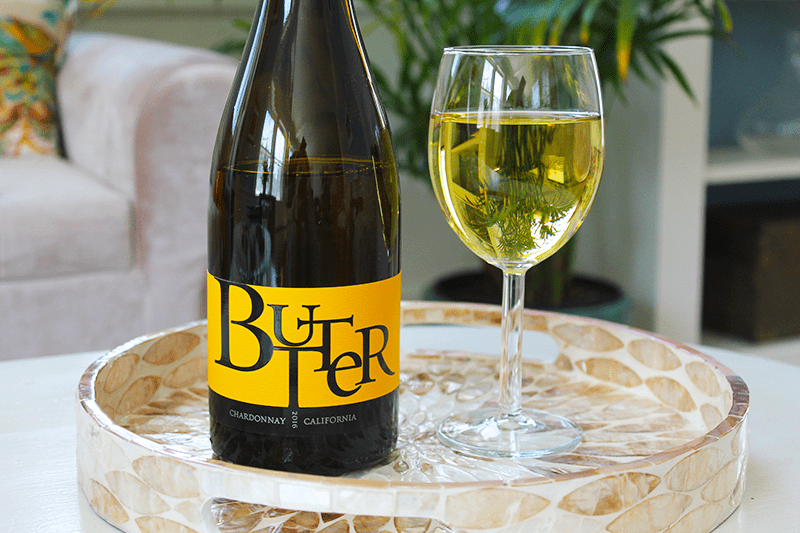 I love Chardonnay, and the buttery, the better, so JaM Cellars Butter Chardonnay has always been one of my favorites. This Napa Chardonnay is creamy, bold and flavorful and goes perfectly with a salad (and just about everything else!). JaM Cellars cold ferments their Butter Chardonnay, which gives it a deliciously smooth and bold flavor. Its baked lemon undertones and vanilla finish make it a great choice for light summer and spring meals, and even for dessert! My mother and I are both salad lovers, so an entree salad it was! I chose to recreate a beautiful salad recipe I saw in a cookbook, but I added some pre-grilled chicken for extra protein. It’s super easy to make and using prepared grilled chicken and pre-cut produce is a BIG time saver! 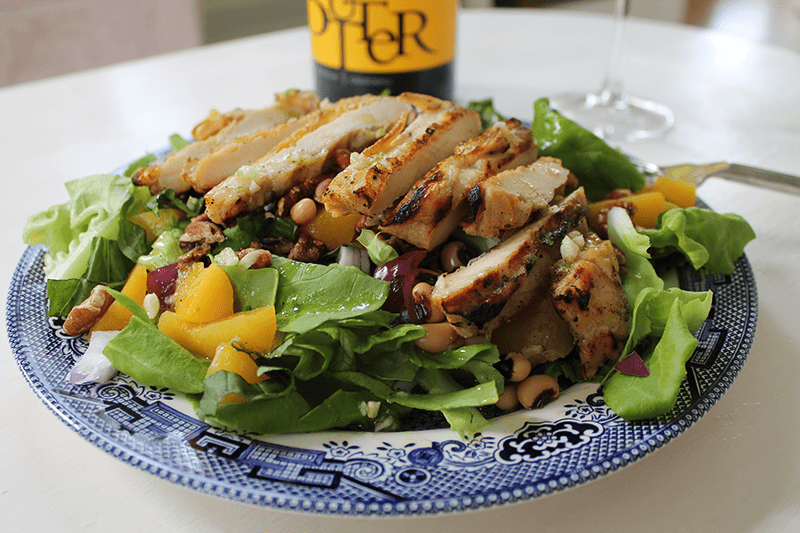 I chose butter lettuce as a base and topped the salad with roughly chopped peaches, black-eyed peas, toasted pecans, chopped basil and red onion. 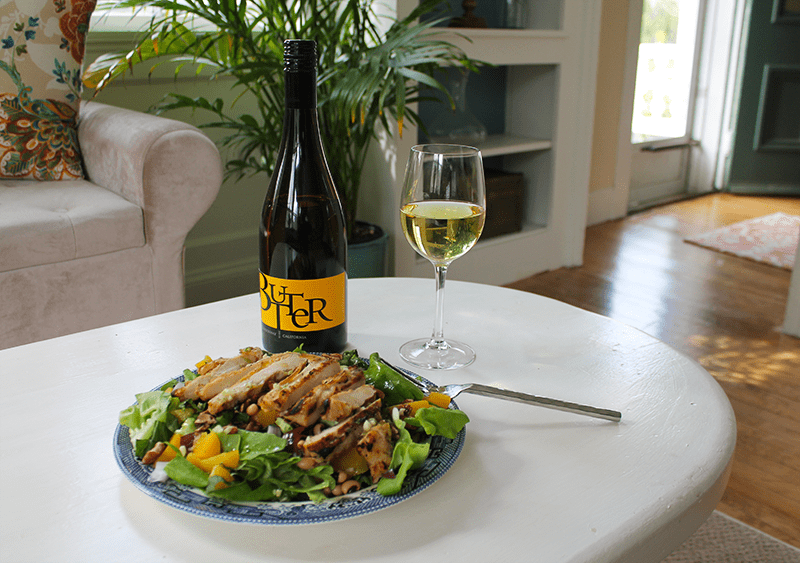 When the salad was complete, I layered sliced grilled chicken breast on top and dressed it with an olive oil-based, lime vinaigrette that goes SO WELL with a cool glass of Butter Chardonnay. 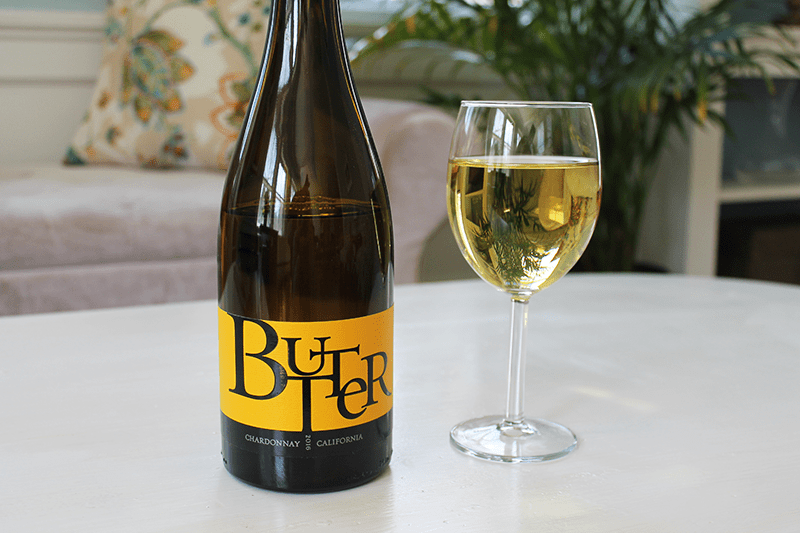 Read more about JaM Cellars Butter Chardonnay and check out some of its wonderful reviews. Cheers, and I hope you all have a wonderful Mother’s Day!